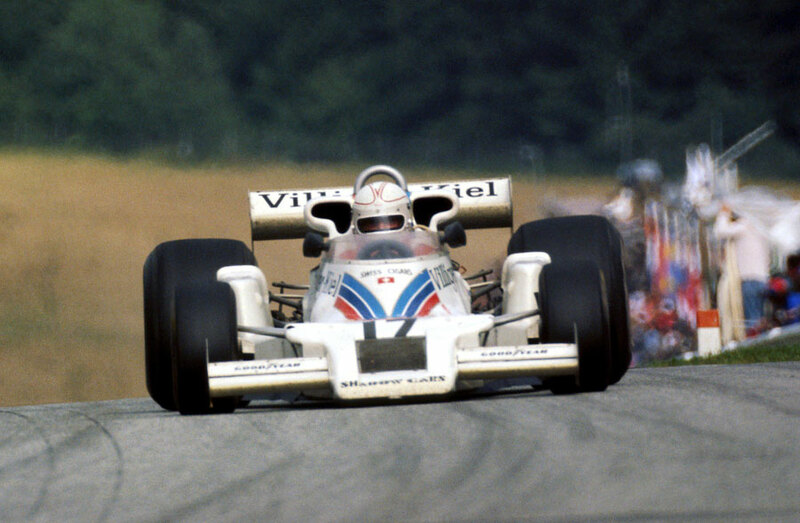 Alan Jones recorded his first win at the Austrian Grand Prix, a result which also provided a welcome boost to the lesser-funded teams as it was Shadow's first victory. Huge crowds turned out to see local hero Niki Lauda, and he duly gave them what they wanted by securing pole. Behind the scenes, however, a number of drivers were unhappy with track changes at Zeltweg which some claimed made the chicane dangerous in that drivers went into it blind. Heavy rain followed by sun immediately before the start led to frenetic activity on the grid as tyres were changed by some drivers, and Lauda briefly led from James Hunt, alongside him on the front row, before Mario Andretti passed them both in one move. However, his Lotus only lasted ten laps before a connecting rod failed. Lauda, meanwhile, had dropped to tenth after the first lap as he struggled for grip on the drying track, but slowly carved his way back through the field. "I screwed up at the start," he admitted. "I am not pleased with myself and must find out what went wrong. The car was OK when the track dried out." Andretti's retirement meant Hunt assumed the lead with Jones second. Then 11 laps from the end Hunt's engine "just blew up" and Jones took the lead. Jody Scheckter, who had been third for much of the afternoon, spun off two laps later, handing Lauda second with Hans-Joachim Stuck third. "I can't believe it," grinned Jones, the first Australian-born winner since Jack Brabham in 1970. "We had lots of trouble in training but we altered the weight distribution and it was fabulous." Lauda, however, was the real beneficiary as he extended his lead to 16 points.